Имате въпрос към Green Village 1? Удобно разположен в Кан Тхо, Green Village Homestay е чудесна стартова точка, от която можете да започнете да проучвате този оживен град. Центърът на града е на около 11.5 km, а до летището може да се стигне до 20 минути. С удобното си местоположение хотелът предлага лесен достъп до всички градски забележителности, които задължително трябва да се видят. Предлагайки висококачествени услуги и широка гама от удобства, Green Village Homestay Ви осигурява възможно най-комфортния престой. Подбор на съоръжения от най-висока класа като 24-часов рум-сервиз, безплатен WiFi достъп във всички стаи, 24-часова рецепция, експресно настаняване/напускане, съхраняване на багаж, са на разположение за Вас в хотела. Влизайки в една от 6 уютни стаи, ще забравите за ежедневния стрес с помощта на удобства и съоръжения като безжичен интернет достъп (безплатен), събуждане, бюро, минибар, балкон/тераса в някои от тях. Хотелът разполага с голямо разнообразие от развлекателни съоръжения като гореща вана, риболов, градина. Green Village Homestay е най-подходящото място за Вас, ако търсите качествен хотел в Кан Тхо. This place was wonderful, exactly what we were hoping to find on our trip through Vietnam. Tea, the owner of this homestay is very helpful and caring. The bungalows he built by himself are very nice and comfortable, and the food is delicious. probably one of my favorite stops in Vietnam...so peaceful and friendly. make sure you do the floating market tour! Best thing about this place is the and the local area. The staff are very helpful and knowledgeable. They have a number of tours but are not pushy. I had done similar ones before so didn't go on any but other guests said they had enjoyed them. I think I will go back when the weather is better. - Of course , the Green Village can't do much about that. We so enjoyed our stay here ... relaxing, warm and wonderful staff, enjoyable and affordable tours, massage with an amazing local woman ... highly recommend. Meals were delicious, hammocks similarly wonderful to relax in after the chaos of HCMC. We didn't realize that we would be so well cared for. We had a sweet, simple room with shower. We were served a lovely lunch. (Instead of dinner, so was part of room fee).All details for an early morning trip to the floating market were arranged. Our trip back to HCMC was arranged. The staff were all delightful and eager to please. Great countryside, bamboo garden, village down the road. Superb value. Better than staying in town, which we did see one evening. Not that interesting in comparison. Excellent food and interesting tours available. too. I am so Glad we discovered this hidden gem in the middle of Vietnam's rural countryside. We spend 2 days here at this perfect family homestay. We could easily have spend more. Forget My Tho and other agencies with boattrip and visit to the floating market, this is where You should book. For free They have bikes and boats so You Can take trips yourself in your own pace and when You want to. The place is qiet and serves the most delicious food. Hope to be back one Day. Staff was very helpful booking a bus to Ho Chi Minh. Location is very quiet and in the middle of a rural area in the outskirts of Can Tho. Finally found some peace after 2 weeks of travelling! I chose this place as I was looking for a place to stay that is not in the city and I wanted to experience village life. This was the perfect place. It was clean, love the hammocks outside our room, the food was great and the staff was friendly and helpful. We borrowed the bicycles and rode around the village. We also went on the floating market tour, good english speaking guide, love that our tour group was a small group of four only unlike the other big tour groups that we saw. Highly recommend! No 5 Star hotel - But simple living, simple yet delicios and reasonably priced food, bicycles, floating market, rural experience and the nicest and most helpful staff you can imagine. We love the place so much, it is so peaceful, right in the middle of a village. It's very green, breezy and airy. We loved cycling around the village with the bicycles provided. Thy, the owner is an exceptional woman. She is so nice, helpful and she tries to accommodate her guests in the best ways she can. We had good time talking to her and knowing more about the place. There are two dogs and one cat at the homestay and they stole our hearts completely! We would definitely come back and recommend this place. The location is very pleasant. By the Mekong river and surrounded by trees. You only hear the noise of the nature. The staff is totally amazing! very helpful, friendly and always smiling, and very available whenever needed. They made my stay a perfect stay. Possibility to visit the floating market early enough and with a small boat, hence avoiding the crowd of tourists. Ty was beautiful, very friendly and helpful. We had planned to stay for 2nights, but changed our minds, she was extremely helpful, organized transfer, for very reasonable price, who was on time and very comfortable. We are older couple so thank you thy. It's difficult to put into words how amazing our stay at the Green Village Homestay was. We decided to stay an extra 2 nights and finish our time in Vietnam there, it was the perfect end to our trip. The staff did everything to make it an unforgettable experience for us, the housekeeper even took us out for breakfast on our last day, because of the length of our stay. We borrowed the bikes almost every day and cycled around the village and along the canals. One day we did the floating market tour and another day we did a boat trip along the Mekong, both are an absolute must if you have the time. 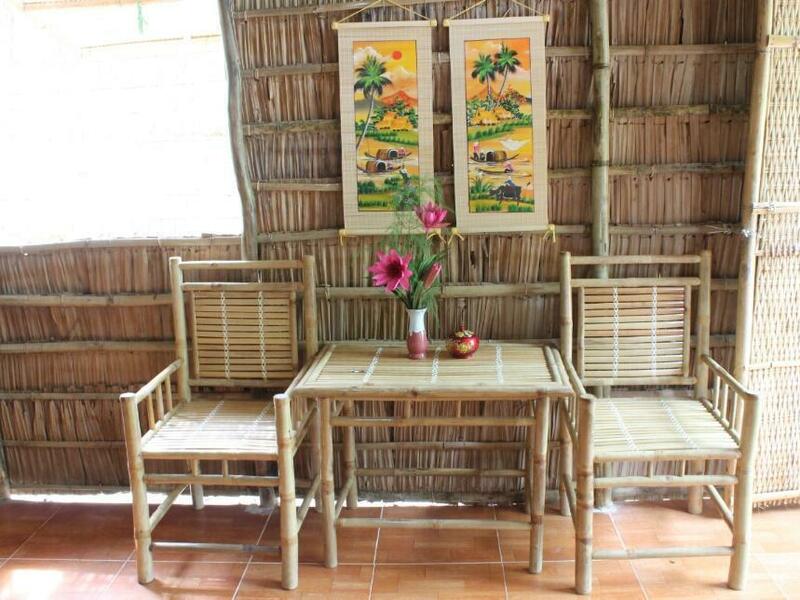 Green Village Homestay is the perfect place to relax and unwind and explore the Mekong the real rural Vietnamese way. Breakfast and dinner are both included and dinner was different every night, one night we even made our own fresh Spring rolls. If you're planning a trip to the Mekong, you absolutely have to stay here, it was fantastic ! 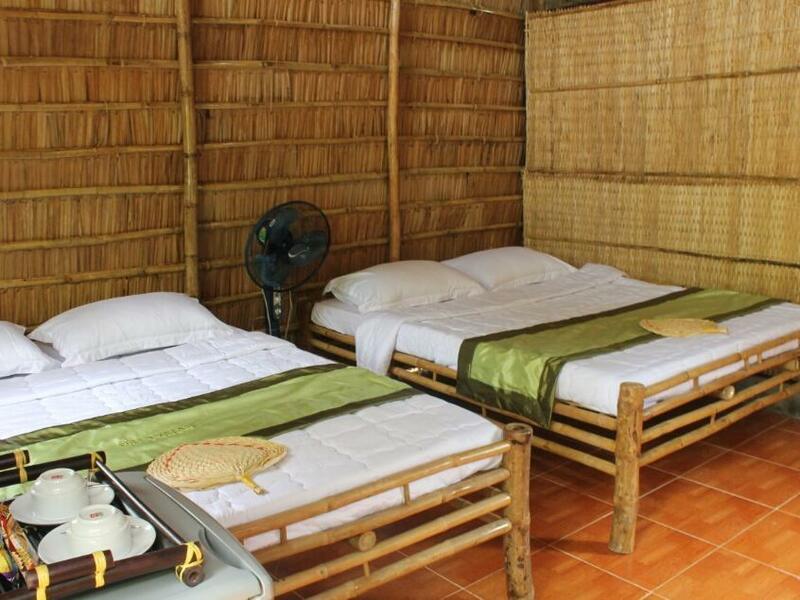 A great little homestay in the middle of rice paddies and market gardens a few kilometres from the centre of Can Tho. Well run by Thy who speaks excellent English and her cheery housekeeper and family. Excellent tours arranged with knowledgable students as guides, especially a wonderful night tour of the street food of Can Tho and early morning at the floating market. Unmissable!